Handcrafted from elm burr wood with a black corian tip. 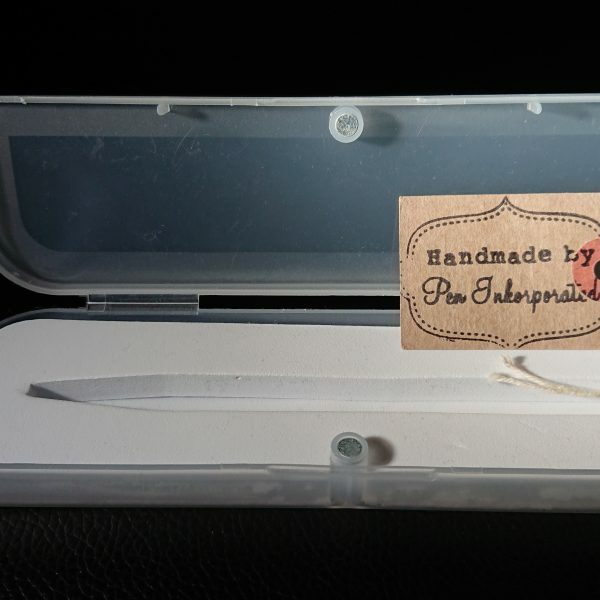 This slimline pen features chrome coloured metalwork with twist action opening. Takes cross pen refills (widely available online and from newsagents/stationery stores). 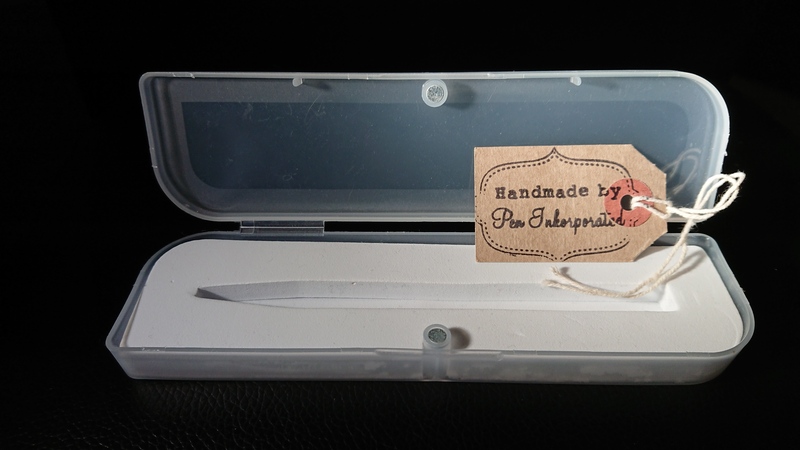 Comes in gift box with a Handmade by Pen Inkorporated label (last picture in the gallery).